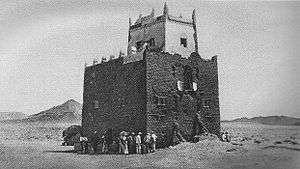 One of the forts of the Majeerteen Sultanate in Hafun (early 1900s). The Hafun Salt Factory, built in the early 1900s. Hafun has been identified as the ancient trading port of Opone, which was described in the 1st century CE Greek travelogue the Periplus of the Erythraean Sea. Pottery found in Oponean tombs date back to the Mycenaean Kingdom of Greece that flourished between the 16th century BC. Merchants from as far afield as Indonesia and Malaysia also passed through the settlement. By the 50 CE, the area was well known as a center for the cinnamon trade, along with the barter of cloves and other spices, ivory, exotic animal hides, and incense. It also traded in tortoise-shells. During the early modern period, Hafun was a part of the Majeerteen Sultanate's realm. In 1930, an Italian firm invested capital to exploit salt deposits in Hafun and Hurdiyo. By 1933-34, the Hafun salt works were producing more than 200,000 metric tons of salt, most of which was exported to the Far East. Following independence in 1960, the town was made the center of the official Hafun District. As of 2000, Hafun had a population of around 13,200 inhabitants. Hafun has a number of academic institutions. According to the Puntland Ministry of Education, there are 8 primary schools in the Hafun District. Among these are Hurdiya, Laamiye, Gardush and Xandha. 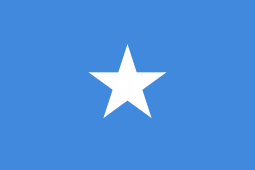 The Hafun Fishing Company was established in July 1992 in Bosaso. It was named after Hafun, where HFC also has an office. The firm exports a wide range of fish products to international markets. Among these are lobsters, frozen fish, dried shark meat and fin, which it mainly sends to Yemen, the United Arab Emirates and Oman in the Persian Gulf, as well as some products to Kenya in the African Great Lakes region. The company is exploring additional global markets for its fish goods. In late 2014, the Udug Ltd. company in conjunction with the US-based Redd Engineering consultancy firm began conducting feasibility studies for the renovation of the salt production plants in Hafun, Hurdiyo and other littoral areas in Puntland. The first phase of the initiative was completed in March 2015, and saw the historic salt works in both towns refurbished following community-wide consultations. According to the Puntland Ministry of Planning and International Cooperation, the project focuses on stimulating entrepreneurship and sustaining job creation. It was inspired by calls for national reinvestment by the Puntland presidential office and the Puntland Chamber of Commerce. Additionally, Redd Engineering official Lowry Redd indicated that the initiative's second phase aims to make the Hafun plant again one of the main global suppliers of salt. In 2012, the Puntland Highway Authority (PHA) announced a project to connect Hafun and other littoral towns in Puntland to the main regional highway. 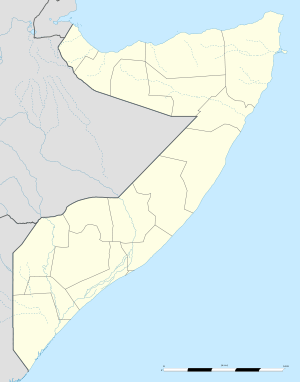 The 750 km thoroughfare links major cities in the northern part of Somalia, such as Bosaso, Galkayo and Garowe, with towns in the south. ↑ Charlesworth, M.P. (1970). Trade routes and commerce of the roman Empire (2nd ed. rev. ed.). New-York: Cooper Square Publishers. p. 65. ISBN 0815403283. 1 2 "Hafun Fishing Company". Retrieved 5 July 2014. ↑ "Hafun Fishing". Hotfrog. Retrieved 6 July 2014. ↑ "H.E. Abdirahman Mohamed Mohamud (Farole)". Waayaha.net. Retrieved 6 December 2013.